Winemaker and owner of Turiya Wines, Angela Soleno, wasn’t always keen on wine - in fact, it took a break-up and a road trip to discover the innate beauty that lies within a glass of the drink of kings. Winemaker and owner of Turiya Wines, Angela Soleno, wasn’t always keen on wine - in fact, it took a break-up and a road trip to discover the innate beauty that lies within a glass of the drink of kings. Her first experience was similar to many who have gone to the grocery store and picked something off the shelf based on the label's design and description. This bottle ultimately went down the drain. Not wanting to waste her time or money, she vowed never to buy a bottle from the shelf again without knowing the wine personally. This was the genesis of Turiya. 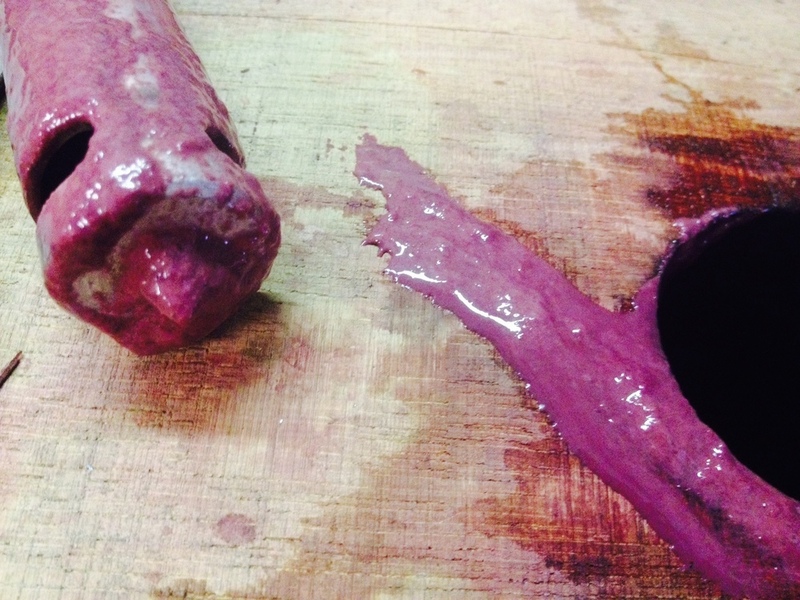 Then one night it happened: heartbroken and pensive, she gave wine another try. At a tiny Italian restaurant in Carmel where she cautiously ordered a glass of wine with the help of the sommelier who allowed her to taste first, she found herself enamored with the lively red fluid she held in her hand. From that sip, she found love again that warmed her from the inside out. That one moment, that one sip, changed her entire life. Angela came back from Carmel with a realization that she had to change jobs to nourish her new love. In 2006, she eagerly accepted a job as Project Manager for the highly acclaimed wine producer Consilience Wines in Los Olivos, where her preferences, experiences and passion for wine grew -eventually encompassing her, leaving her only an inception to create the ultimate wine. In October of 2008 Angela scored her first fruit bill and first harvest. That first year she produced less than 100 cases. 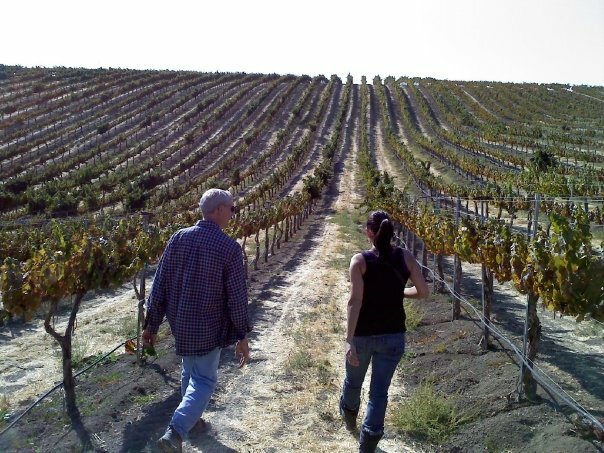 Angela endeavored to create Turiya Wines at Central Coast Wine Services alongside several other well known Santa Barbara County winemakers; It was a knowledge resource bank. She asked questions: what are you doing? Why are you doing that? She knew what style of wine she hoped to create. A raw, earth driven, subtle reflection of nature. She hunted for as much winemaking information as possible from a variety of winemakers, and coupled that with scientific knowledge. Angela quickly enrolled in the Viticulture and Enology program at Allan Hancock College and began formulating her plan of attack for the first vintage. Aiming for an elegant, food-friendly style of wine, Angela decided to select the best fruit available in Santa Barbara County and let the fruit have most of the say-so in the outcome; the fruit did well. As a single mother, student, and full-time employee and part-time bartender and wine writer, Angela, and a few close friends and family members got through the first harvest with a new-found appreciation for winemakers. The time, thought, energy, and care that it takes to create wine proved to be challenging, but was and still is one of the most exciting and rewarding adventures she has ever undertaken. Angela believes that there are too many mundane bottles of wine on the shelves that remind her of that first bad experience with wine. She continues to believe that money, time, and taste buds shall not be wasted on low-quality wines, because we deserve more. Turiya is wine that extends beyond the latest trends, circling back toward a reasoning intended to remind those collectors of passion that wine is meant to be wine, a class of its own, with flavors that reflect the earth from which it came, and the nuances of each berry. Focus on your dreams and create your own reality. 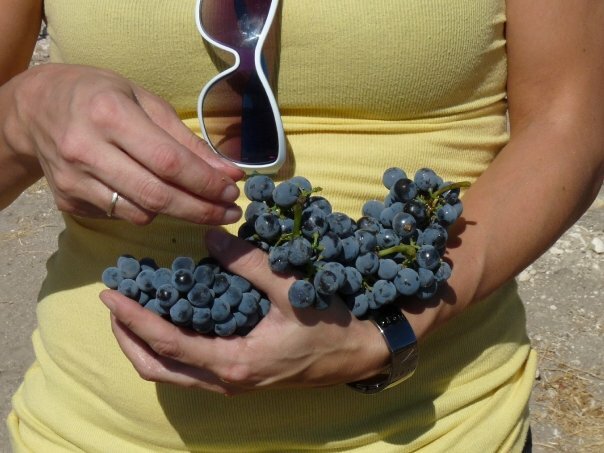 Check out the pretty grapes that will make the best Sangiovese in all of California! Eager winemaker rocking some 90's shades. Vital to do this as the grapes move toward ripeness. Walk and chew. Aka Schmoots. My favorite stuff. 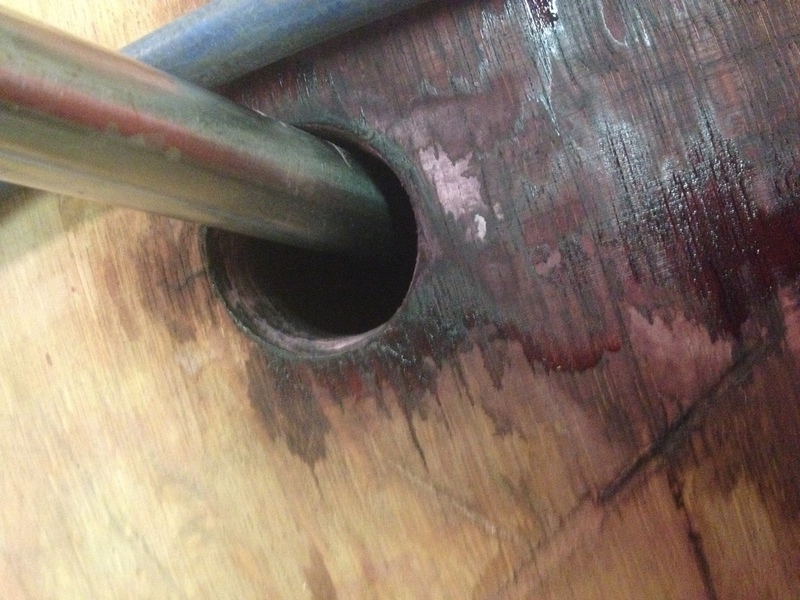 This is what gives the wine it's layered complexities. #unfiltered. Yes, it is really called that. 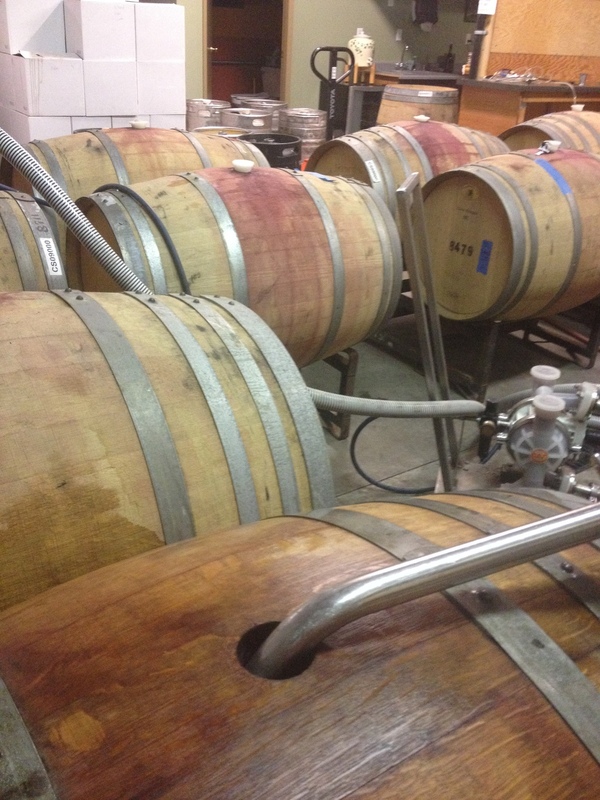 I simply don't like to take flavor out so racking only occurs once in a wines lifetime.